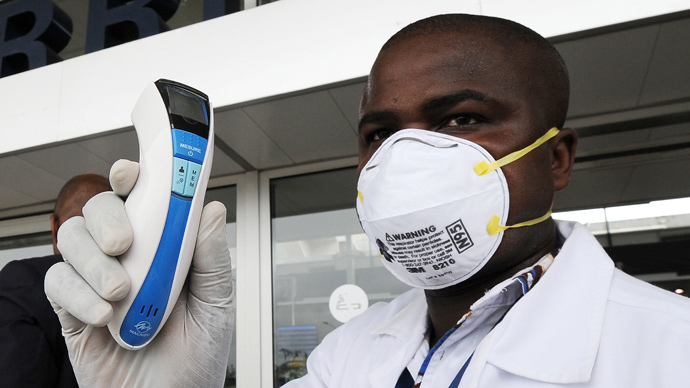 US has enhanced special screenings for the deadly Ebola virus at the New York’s John F. Kennedy International Airport. Squads armed with thermal guns and carrying questionnaires will test everyone arriving from the worst affected countries in West Africa. JFK is set to become the first of five major airports to carry out the checks, aimed at travelers arriving from Guinea, Liberia and Sierra Leone – the countries where the majority of the 4,000 Ebola deaths happened. Almost all travelers from these countries to the US – approximately 150 a day – land in five airports: JFK, Newark Liberty, Washington Dulles, Chicago O'Hare and Hartsfield-Jackson Atlanta. Other airports are set to join the measure next week. The special squads will be armed with infrared thermal guns aimed at checking elevated temperatures among passengers. Monitors will also evaluate whether any of the passengers have Ebola symptoms and ask them if they have been in contact with Ebola patients. Then, if a person demonstrates fever or other symptoms, the Centers for Disease Control and Prevention (CDC) will be to decide on the next steps. The person may be sent to hospital for further testing and treatment, and/or quarantined and isolated under federal law. It’s not the only move that the US authorities intend to undertake in the fight with the fatal virus, the CDC said. "Because we want to protect the American public, we are taking a tiered approach," CDC spokesman Jason McDonald told Reuters. 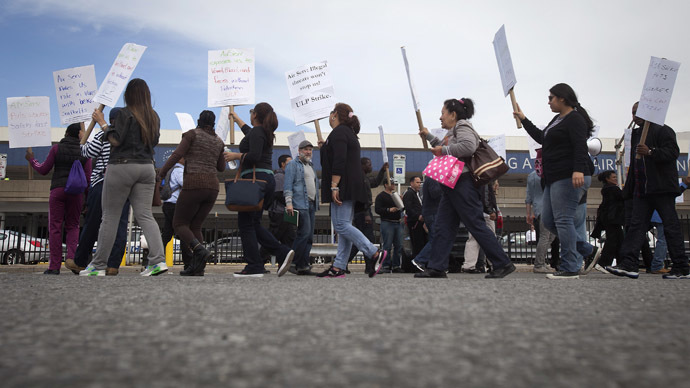 He added that the Department of Homeland Security's Customs and Border Protection (CBP) is to carry out the airport checks under CDC direction. He explained that passengers could easily take medications against the fever during the flight, and not tell monitors about contacts with Ebola patients. 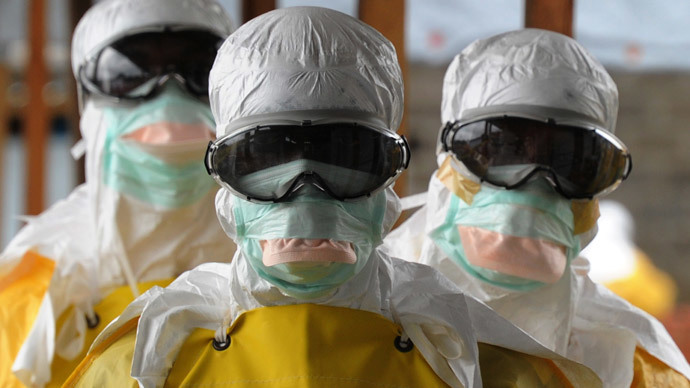 Currently, screenings take place when passengers leave the Ebola-hit countries. 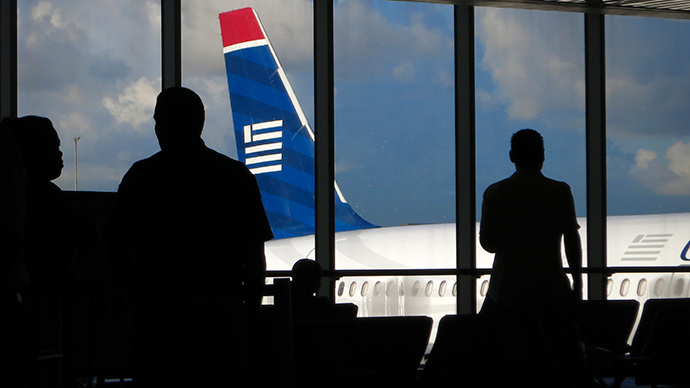 Over two months, just 77 of 36,000 passengers who were screened were denied boarding, according to CDC data. Some of them were later diagnosed with malaria, not Ebola. The United Nations has recently been addressing the Ebola plight, and the concerns that fatalities will increase quickly if nothing is done. 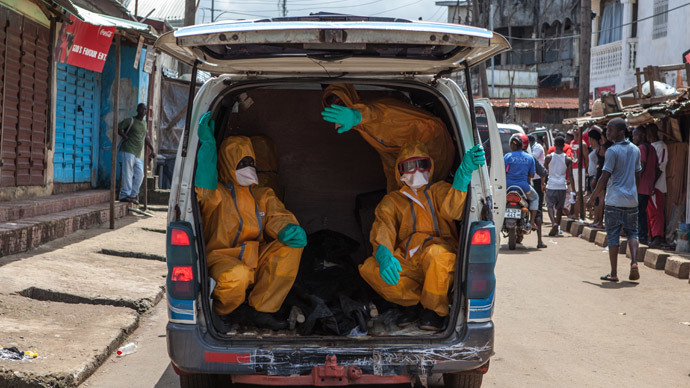 The UN’s special envoy on Ebola, David Nabarro, told the UN General Assembly on Friday that the number of cases was doubling every three to four weeks, and the response needed to be 20 times greater than it was at the beginning of October. The General Assembly also heard via satellite from Dr. Abubakarr Sulaiman Fofanah, Sierra Leone’s health minister, about the conditions that medics and patients face in the country. “As a result, our holding centers becoming breeding grounds for propagating the epidemic,” the minister said.